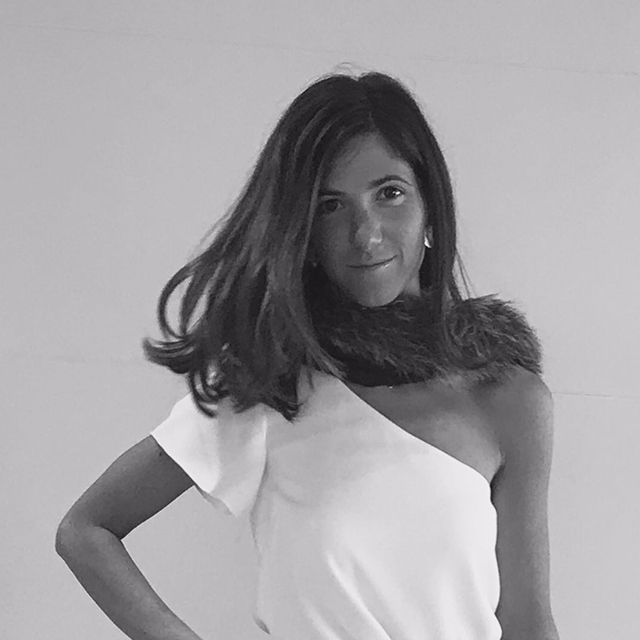 Since our beginnings, Sílvia Marí, founder and director of the firm, has poured all her knowledge of fine arts, painting, sculpture, printing, art history, sociology, fashion design and pattern making into the collections of the Atelier de Haute Couture. 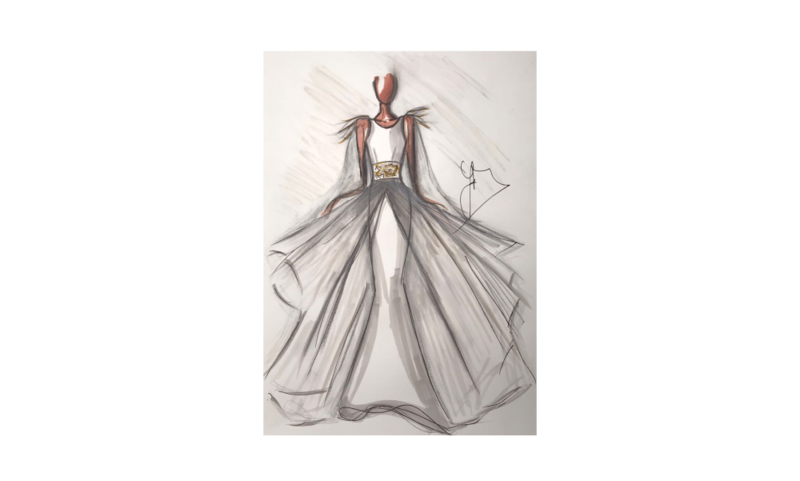 Daughter of a great haute couture dressmaker from Barcelona, she fuses all her artistic and social knowledge with fashion, thus arriving to transmit in each of her creations an unparalleled personal stamp. She began her professional career as a designer of important brands of Prêt-à-porter, furs and children’s clothing to dominate all fields of the fashion world. In 1991 she opened the doors of his Atelier de Haute Couture in Barcelona, where until now she has turned all his professionalism and creativity. 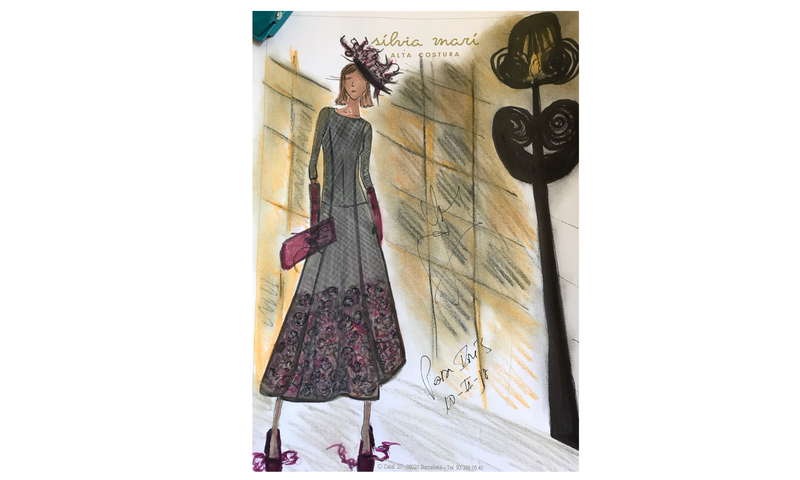 Over the years with perseverance, creativity and instinct to meet the needs of its clients, Sílvia Marí has turned the Atelier into one of the leading brands of haute couture in Barcelona, where the traditional values of the beginnings are still maintained . The creative philosophy, dedicated to the improvement of femininity and the natural beauty of each woman is expressed through the refined and glamorous style. The illusion of each new design is wrapped in his passion for beauty and quality. MY OBJECTIVE IS TO FOLLOW THE ESSENCE OF THE ATELIERES OF ALL THE LIFE ..
Where have the Parisian Ateliers of all their lives gone that our mothers and grandmothers used to go? Today we live in a digital world where the direct and personalized deal with the client seems to be the exception to the norm. The Ateliers of Haute Couture have been left behind, where a professional of the sewing personally advised the client throughout the entire creative process. I honestly do not understand … The truly exciting part of our profession as dressmakers-designers is to participate in each stage of the creative process: from the creation of design as fashion designers to the elaboration of the dress as dressmakers enjoying every detail, decision and emotion with the client. “Atelier is a French word and means workshop. It is mainly applied to artists’ studios and sewing workshops. In short, to sites where a meticulous work is carried out whose result is unique and personalized “. 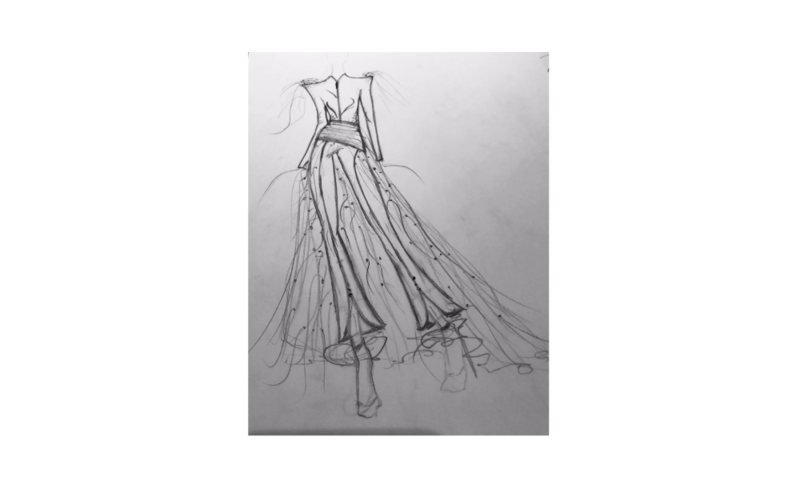 I am proud to be a small Atelier in the Haute Couture world, otherwise I could not enjoy what I admire most in my profession: advise and personally treat my clients from start to finish in all stages of the creative process to be able to achieve excellence in the quality of designed dresses. ¿WHAT A MOTHER FEELS WHEN HER DAUGHTER…? …When your daughter tells you, after many years of efforts, studies and careers focused in another direction, that her life is creation and art, and that her dream is to learn and share with you your profession and passion for her as a third generation of the signature; Sincerely, it is one of the happiest and most satisfying things that could have happened to me. After many years between seams with my mother, to move forward a business that I have dedicated and dedicate a large part of my life, share my profession with what really gives meaning to her: my children, is the best gift that as a mother and designer I can get. 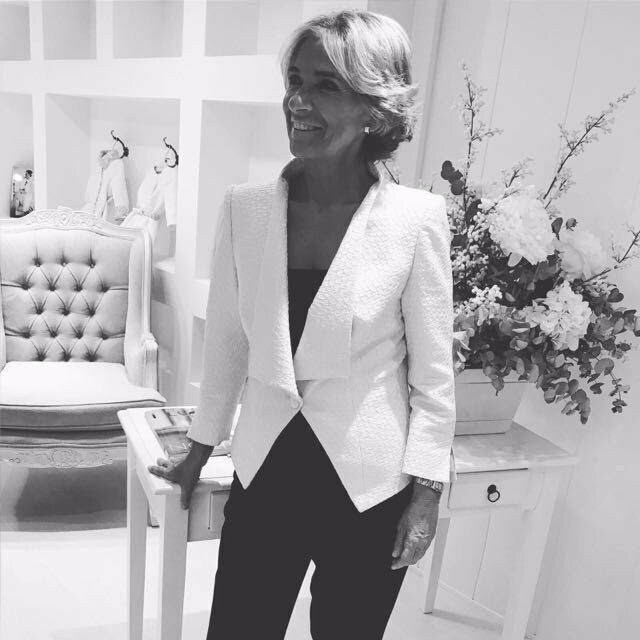 I am happy to be able to enjoy each day of my two great passions: FASHION and my FAMILY. Third generation devoted to the design of haute couture in Barcelona. She began her career without knowing it, since she was a little girl with her mother and grandmother surrounded by fabrics and beautiful creations. 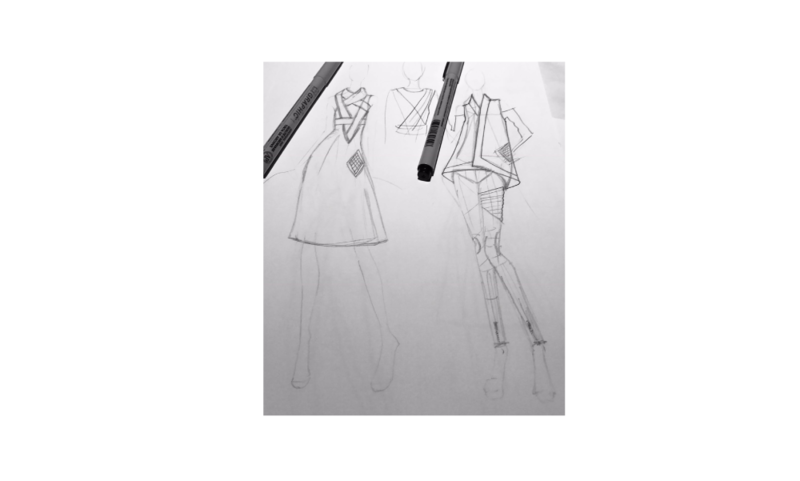 Since she was very young, she had a vocation for fashion design and currently develops it professionally with her studies in Fashion Design, Pattern Making, Dressmaking and Haute Couture. Today, together with his mother, he puts all his creativity into the design of modern haute couture pieces. Bringing the firm the fresh air of the new generations. Keeping true to the design and quality values of the firm, Júlia Mayola Marí has managed to capture the attention of a young audience that likes exclusivity. I do not remember exactly when I began to develop my creative spirit … but I always felt that the arts united me in a very special way with my mother and that the artistic would play an important role in my life. I started with the world of music at four years old. No wonder my passion for music; He has always had and continues to have a very important role in my mother’s family. His father, my grandfather, was a brilliant composer musician. Playing the piano and singing gave me discipline, but above all and most importantly, they taught me how to capture the sensations that surround any applied art. With the piano I started to flow, create and feel … Composing became my way of expressing my emotions. Each note gave me a different feeling and idea. In short, with the piano I began to feel and shape my ideas and emotions. 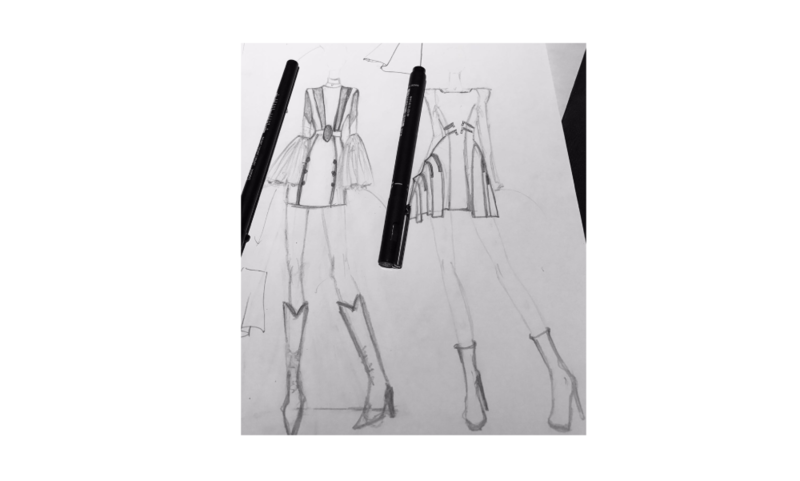 Finally, the Modistry and Pattern Making have given me the necessary base to be able, technically, to shape my ideas and translate them into the client’s body. 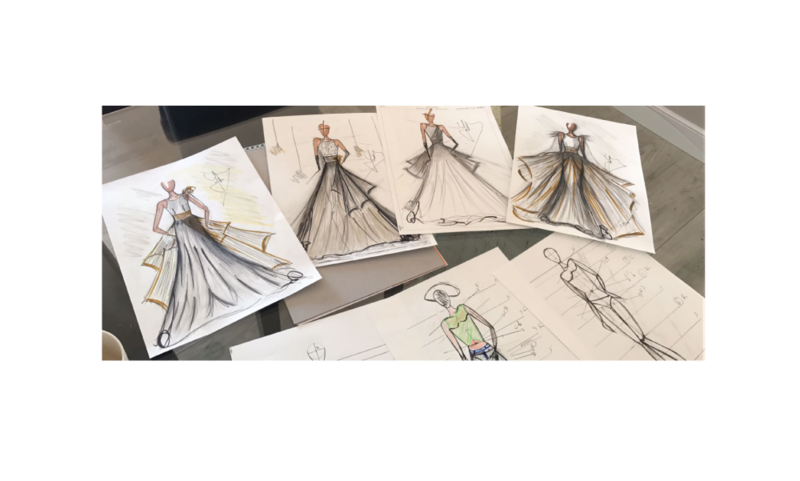 With the traditional methods of dressmaking and pattern making I have learned to balance the concepts within the creative world, as well as to pay attention to the details of the meticulous, artisan, delicate and absolutely perfect work of haute couture.